Roma is a city to understand, more than a spot, an Universal idea… A relaxing stroll among the Trevi Fountain and Navona Square, walking by the masterpieces like the Spanish Steps and the Pantheon, discovering the domes, ceilings and the paintings of Caravaggio, to live, trough the stories of your private (exclusively local!) guide, 3 hours of pure beauty! Finally going to be time of your Roman Holiday. 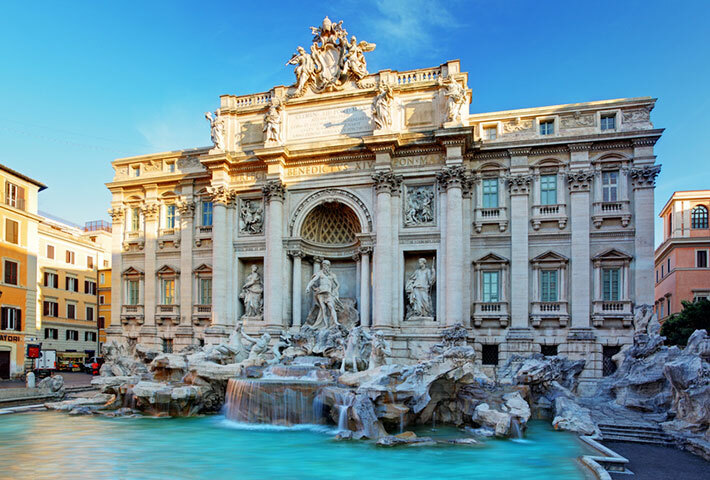 If you still need an accommodation in Rome, trust our advices of a local tour operator Dearoma is. We will direct you to the best solution among the different proposals of accommodations. Do you want to stay near the archaeological areas to avoid any additional transportation fees? Want to sleep a few steps from the Pope to be always in the front row in the St. Peter’s Square? Do you prefer an accomodation in the most famous food areas, off the beaten path, for the extraordinary offer of genuine restaurants and pizzerias? You know, we are Romans, we know our city. Ask us for advice.